Since 2009, tomato production (as measured by hundredweight – cwt) fell 38%, according to data from USDA. 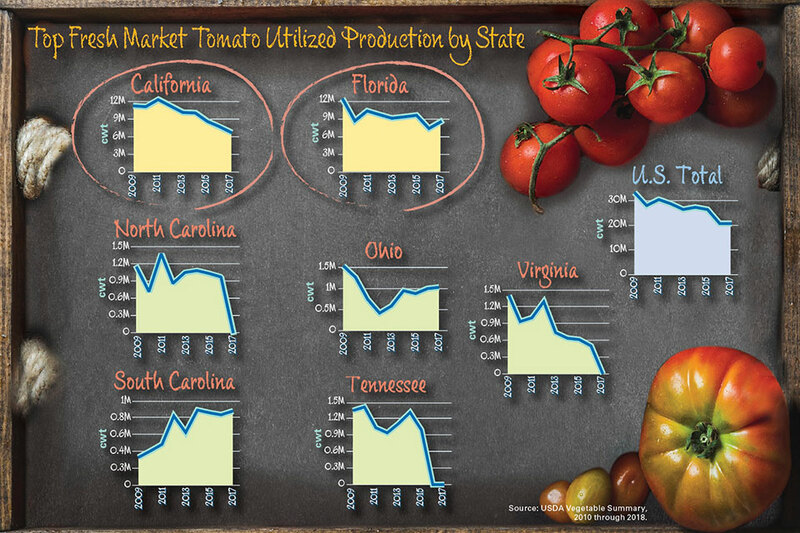 To see what this looked like on at ground level, we compared how the top seven fresh-market-tomato states’ production levels compare to the national levels. Overall, numbers are falling sharply. That’s due to a number of reasons, but experts at USDA, University of Florida, and other institutions identify two main causes: increased imports, primarily from Mexico, and more indoor-grown tomatoes here in the States. 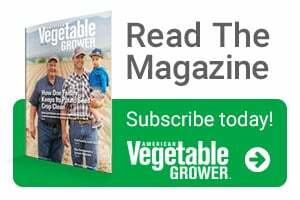 Our article, “Consumption is Up, Production Is Down: Understand How Fresh Tomato Trends Affect You,” delves more deeply into the issue. California and Florida are the top two fresh market tomato states, by far. How those two states performed had a big impact on national statistics. Some states show a zero in 2016 or 2017. Actually, these states levels dropped to a point that all data came from only a handful of growers. Sharing the production data would equal sharing individual farms’ data. So USDA withheld that data. 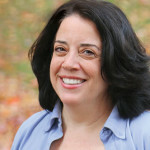 Carol Miller is the editor of American Vegetable Grower, a Meister Media Worldwide publication. See all author stories here.